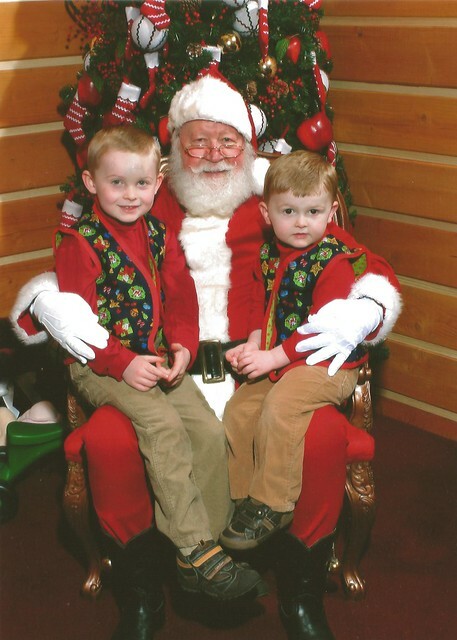 I was looking through the last several years of Santa photos. We have a frame that holds three years worth. It is really fun to see how the boys have changed. Jack has grown up a lot in the last year, but still has the same cute smile. I am so glad we took the photo for this year when we did. Although you can see the bruise on his forehead, it hadn’t started to give him black eyes. Will has yet to smile in one. 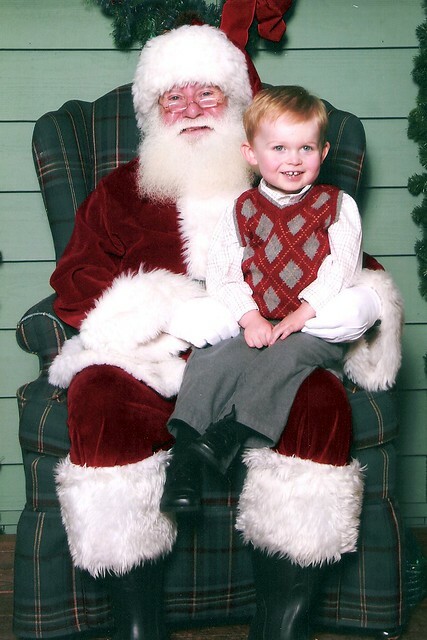 He gets closer each year, but no smile. I love the one of him as a baby with his huge cheeks and upside smile. 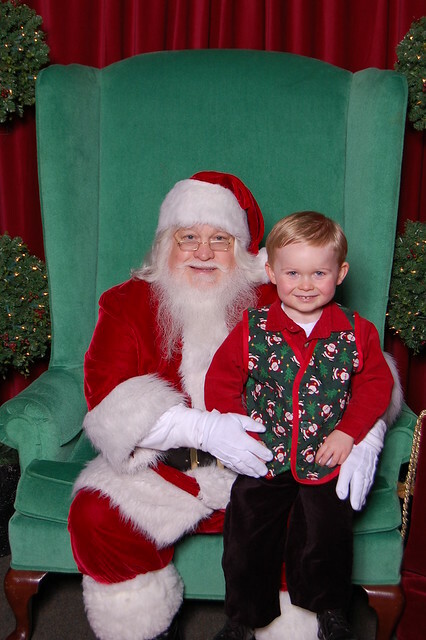 We don’t have any screaming Santa photos (don’t hate me), just very serious faces. We haven’t been consistent about going to the same place for photos, so we have had some really good Santas and some not as good. I like the ones from the last few years. 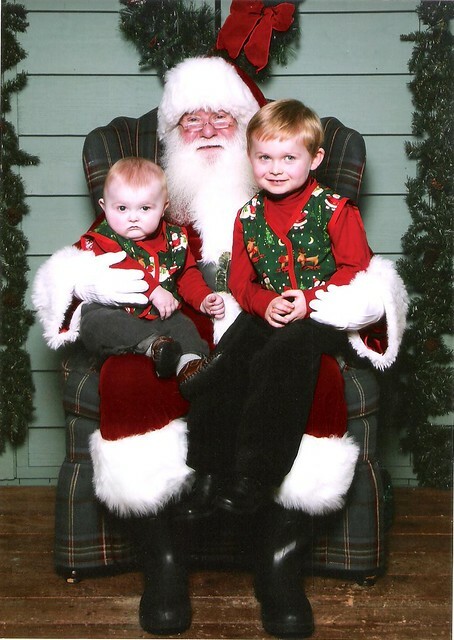 Enjoy the last five years of Santa photos. Love your pictures. Those boys have really grown!! 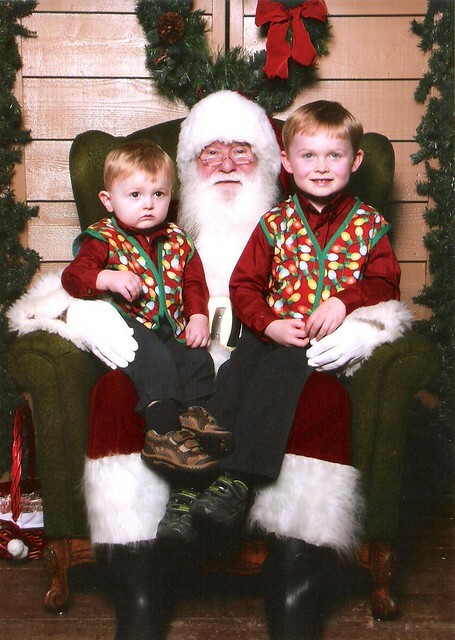 Good looking boys, my girls pictures haven’t been transferred to computer yet, so I went with my grandson. Visiting from M-K’s.